Where KPOP comes alive! Come join us for 3 hours non-stop KPOP Music & Dance! If you know the moves, just join in and perform to a live audience. If you don’t, you can still watch anyway! It’s like Singapore’s very own version of a Korean Music Show! Stay tuned for KPOP Dance Off updates via our official Twitter or Facebook Page! 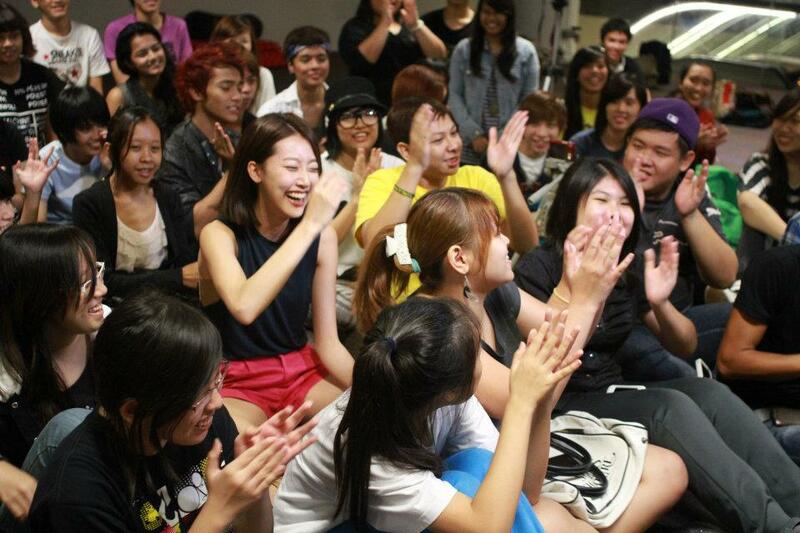 KPOP Dance Off is an initiative that was started in 2011. It happens every twice a month, and is a gathering for not only Korean pop dancers, KPOP lovers, but also for all who enjoy street performances! Everyone is invited to come and enjoy KPOP performances by both amateurs and aspiring performers, and also a chance to simply show off your KPOP dance moves. 10/02/12 – KPOP Dance Off Vol. 14 | Photos! Thank you! And nice Onew picture you have. I want to do Kpop dancing too. But… problem is I don’t know if I can do this with my hijab on. Can someone please tell me if it’s okay or not? I got a few questions though..
1) Where is it held at? 2) What time does it start? 3) When does it start?